Fire Tablet Charger,2A Rapid Charger Adapter for Kindle Fire HD,HDX 6" 7" 8.9" 9.7",Fire 7 8 10 Tablet&Kids Edition, All New Fire, Echo Dot, Paperwhite,Oasis,Voyage. 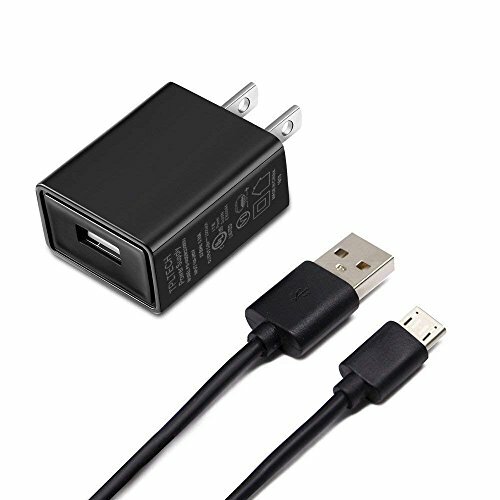 with 5FT Charging Cable Power Cord | Replicafer Co.
Kindle Fire HD,HDX 6" 7" 8.9" 9.7"
4.Guarantee: Up to 1 Year Warranty Period With Free Replacement. If You don't Like or Don't Want the Product, We Would Happliy Accept the Return Without Asking Questions. Certification: UL/CE/FCC/RoHS certified.Premium Quality with UL Listed by USA Underwriter Laboratories Inc(UL).UL Number E302944,Could Be Verified on UL website. All our Wall Chargers Produced According to The Standard. Build in Dynamic IC, Charger IC & Power Fuse for Rapid Charging And Over Charge Protection. Length: 5FT Extra Long for Convenient Charging. Replacement High Quality Accessories AC Wall Charger For Amazon Kindle Fire Tablet.